You can find all these reviews and a great deal more in our books on Amazon. 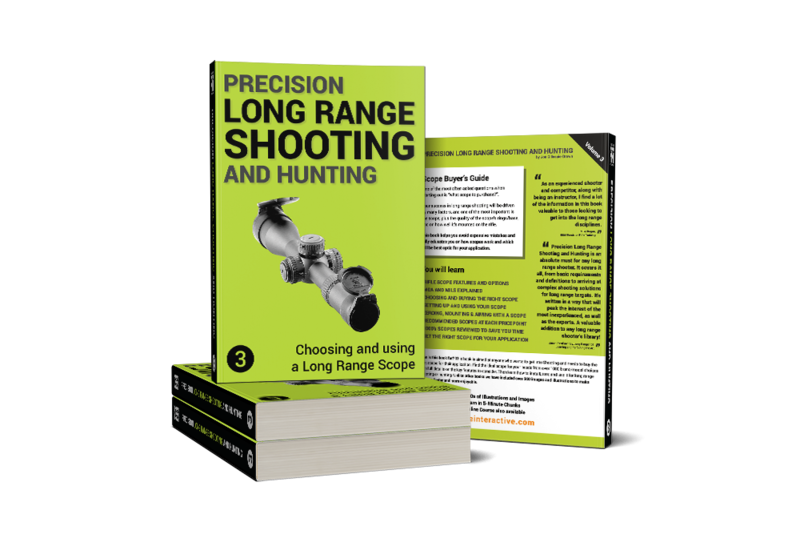 Precision Long Range Shooting And Hunting is a comprehensive multi-volume series focused on helping you become a proficient long range hunter or target shooter. This book answers an important question in Long Range shooting: “what scope to purchase?”. Your success in long range shooting will be driven by many factors, and one of the most important is the scope, plus the quality of the scope’s rings/base, and on how well it’s mounted on the rifle. This book seeks to help you avoid expensive mistakes and fully educate on how scopes work and which will be best for own application. It will also show you a few ways to find the best scope based on budget and other factors you may not have considered ensuring that this expensive purchase is the right one for you.